Design without mathematics is merely decoration. As an eCommerce marketer or entrepreneur, you need to put analytics at the heart of your business. Data will help you determine what to sell, where to sell, how to sell, and who to sell to. Here is how to use data in order to have an even smarter eCommerce strategy. By getting to grips with all your disparate data sources, you will be ready to offer a first class and personalized service to all customers, boosting brand loyalty. All of these offer potential in-depth insights into customer behavior. However, flipping screens and keeping track of all the incoming data can be a hassle (especially if it’s all real time). By combining your data into one single information source, you can track specific queries easily, and create data visualizations that will allow you to make strategic decisions faster. Data consolidation will give your staff actionable data points along each stage of the marketing and fulfillment journey, and will help you automate marketing activities en-masse. And, thankfully, eCommerce data platforms are becoming more and more affordable and integrated, giving the average eCommerce merchant much better chances of success online. An eCommerce website is a constant evolution of your brand, existing in a state of flux. Learn how to bring customer feedback on board in the form of analytics in order to create the ideal sales environment. Whether it’s a seasonal sale, new product launch, or dynamic customer personalization — your website design needs to evolve in order to reflect current figures. 1. User testing is a really easy and simple way to test your website structure. Rather than focus on vanity points, drill down into product searches that really put your site to the test. That’s where website design tends to break down from a user experience perspective, so focus your efforts there. Combine individual tests with a wider look at your web analytics and set some realistic benchmarks for product discovery. Keep refining and improving your figures. 2. A/B testing specific design features like call to action buttons, hero images, and product page videos is a great way to become more analytical about your design decisions. Just don’t get stuck in an endless testing loop — you have to make this work for the real world, not just the lab. 3. Don’t get so caught up in looking at actions that you forget to consider the experience — this is where intelligent design can help you. Conversion rates are an obvious data point to track, but clever tools that give you more information about dwell time and website behavior can be just as valuable. Look at user interaction, not just reaction figures. Remember to put design and on-page analytics in context with the bigger picture: seasonal trends, rising traffic levels from influencer marketing campaigns, shifts to mobile commerce… There is often more to the data story than meets the eye. Cart abandoners are your obvious candidates for smart retargeting, but eCommerce brands often fall into the trap of not making the most of sequencing. Being smart about conversion funnels and exit intent means picking up the conversation off where the customer left it. A pushy ad in the corner of webpage may not help the customer convert, so don’t always reach for the obvious. Use your user data to make your retargeting as sophisticated as possible. Maybe they abandoned the cart because they couldn’t decide on sizes, and they needed some help? Here, a sizing chatbot could get in touch…. Refine your sales funnel to ensure you’ve ironed out any major kinks, A/B testing can help shed light on any potential barriers to conversion like a multi-page checkout. Don’t be too hard-sell with your product ads — data can help you fill in the gaps in the customer journey and ensure that you create ads that are creative and classy. Then, psychology can be a great way to ‘fill in’ the gaps left by data mining. As well as picking up browsing behavior, cart size, demographics, interests etc, try to see if you can get under the skin of a customer that’s leaving. Are they a hedonistic shopper? Think about how you can appeal to your specific customer avatar(s). Pop ups — we love to hate them — but they do still work! If you use pop ups on your store, try to go for personalized chatbot-type ones, over generic ones. Do you fully understand your customer lifecycle? Many store-owners don’t, and just get fixated on sales figures. You need to gather more data and fill in the gaps. 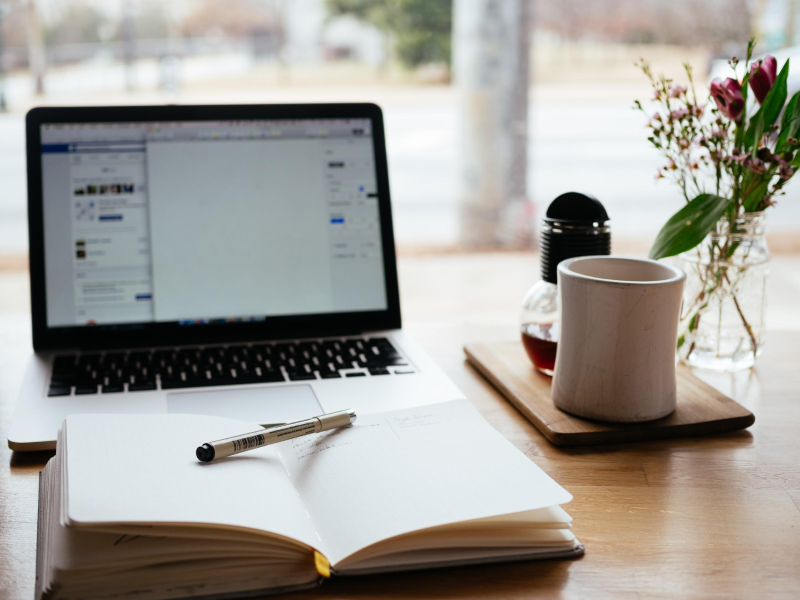 Use Google Tag Manager, UTM parameters, and the Enhanced eCommerce plugin to help you track specific events and micro-conversions like blog sign-ups and clicks. This should give you an idea of how all these smaller events lead up to a sale. Analyzing the data at the customer acquisition and awareness stage will help you lower your marketing acquisition costs per customer. In essence, you will be optimizing each lead-gen campaign to maximize your chances of making a sale. You will need to take into account your click-through rates on any lead-generation channels and ditch the campaigns that aren’t working, investing more in the high performing ads that lead to actual sales. This is why having a coherent data strategy is so important — it means you can pull the plug on low-performance campaigns very quickly. One important eCommerce marketing channel is mobile. Mobile technology can be a massive blessing to online retailers as well as a huge ‘pain point’ if you aren’t getting your strategy right. In the mornings and afternoons, you would expect customers to be using 4G or 3G, as well as being distracted by their everyday tasks. Mobile visitors in the evenings, on the other hand, may be at home, connected to WiFi and will, therefore, have more time to browse and make a purchase. You should plan your mobile ad targeting accordingly — but you should also never rely on ‘common sense’ rules — validate customer behavior by checking up on ad platform and sales data. There are plenty of exceptions to the rule as consumer mobile behavior evolves. Go with data, not your gut. One of your eCommerce goals for 2018 should be to increase your Customer Lifetime Value (CLV) — it will help you run a more profitable store and build a better foundation for your business. LTV = (Average Order Value) x (number of repeat transactions per year) x average retention (time in years). Once you have this figure, you will then need to look at what percentage is profit. Look at your markup costs and average profit margin. In the above case let’s assume it’s 70% profit. This figure is the estimated profitability potential of each new customer, and therefore should guide your maximum spend per customer acquisition. A simple calculation to make, a ton of value to be had. Being able to track your customers’ average order value accurately will offer you insights on the products you really need to push, and highlight inventory that isn’t working so well for you. If your average order value is low, you’ll probably want to increase that figure. Firstly, you can look at addressing specific customer pain points (e.g., offering free shipping and returns). Secondly, look to utilizing upselling and cross-selling techniques. Alternatively, you can also change up your product offerings entirely. If you have a hunch about a new niche, consider testing a new avenue using a low-cost drop-shipping arrangement. Your average order value can also help you, in some ways, predict your customer’s shopping habits in the long term. For any potential ‘high rollers’ look to push them referral discounts or money off through a specially segmented email campaign. Analytics-led eCommerce will teach you to make the most of the traffic, sales, and customers you do get. Instead of working harder to get new customers, work smarter with your existing pool of users to maximize ROI. You may want to try personalized offers, sending ‘refer a friend’s flyers’ or handwritten ‘thank you’ notes in deliveries. Try anything you can to make your customers refer friends or share your links. A referral program is a low-cost way of building word of mouth and ‘viral’ advertising. 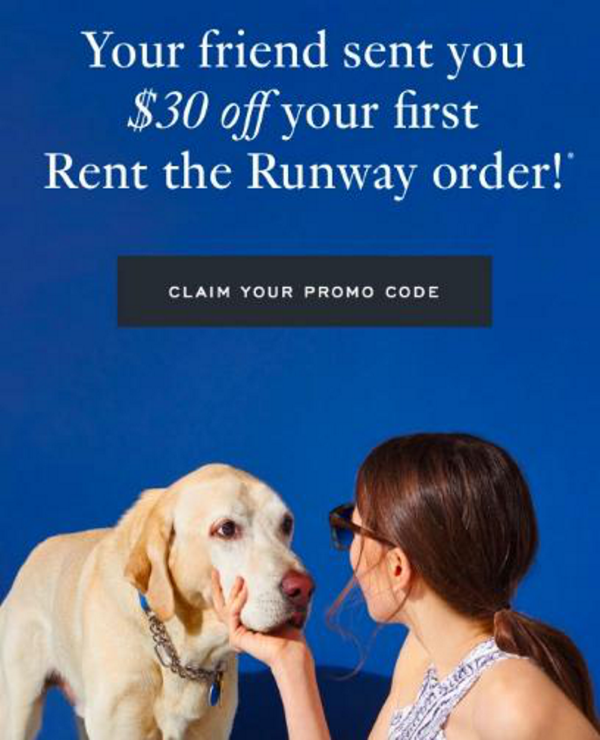 Rent The Runway have made good use of the ‘refer a friend’ technique. The wording of this email campaign implies that the contactee has been ‘gifted’ from a friend. This creates a powerful psychological ‘pull’ in the reader, as they are incentivized to find out how they can spend their ‘free store credit’. Be constantly re-investing ad budgets into sequential advertising, eshots, and loyalty programs so that you can make your store (and your cash) work harder for you. Crunching the numbers can provide you with a blueprint for how you can build your brand’s money-making potential at every stage of the buying cycle. Armed with accurate insights, you can calculate your ideal marketing budget, track results, and make adjustments in a highly targeted way. It’s the only way to do eCommerce in 2018. You are right, in order to scale up and achieve even greater success, you must track and tweak. It is super important to look at your numbers and your metrics, this is what will allow you to do better. Not only with ecommerce, but also with any business model. Looking at your data will always give you a clearer picture of where you are at, how you have been doing, how you are doing, and how you can improve. This is what the smart successful people do!